An eco-friendly washing up liquid in stylish recycled packaging and made with biodegradable ingredients. 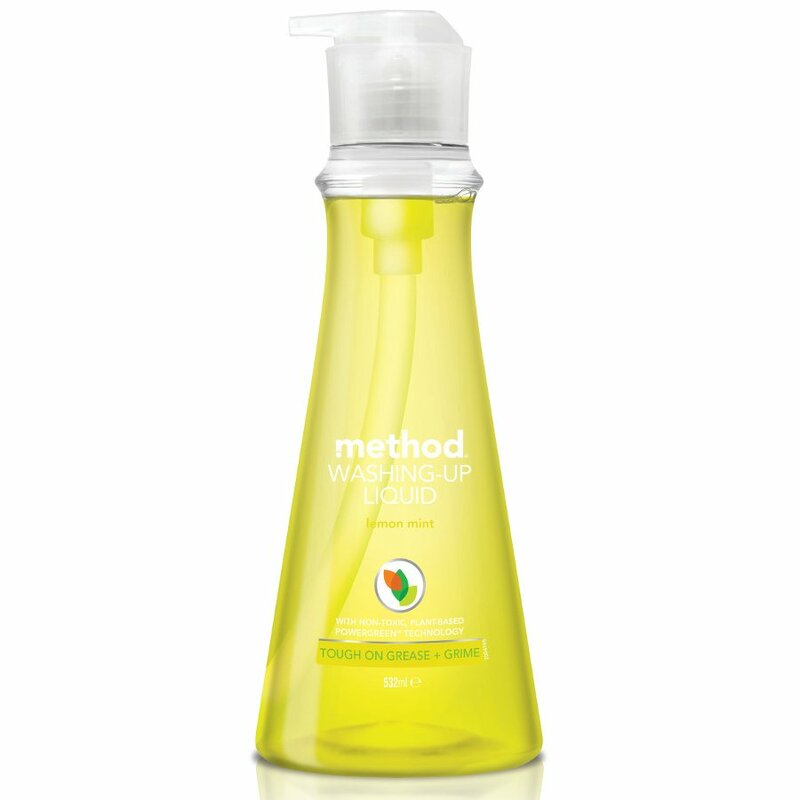 Method washing up liquid is 100% cruelty free and does not contain any animal-derived products, parabens, phthalates or triclosan. The grease-busting formula has a zesty and stimulating lemon and mint scent that makes washing dishes a joy rather than a task. Not only is the packaging recycled and recyclable, Method also carries the Cradle-to-Cradle certification which attests to its sustainability efforts. The Method Washing Up Liquid Pump - Lemon Mint - 532ml product ethics are indicated below. To learn more about these product ethics and to see related products, follow the links below. This product works well. I would be even happier if I could buy it in a refill pouch. Works well... Still considering if I like the smell!